The Protimeter Aquant is designed to rapidly find areas of potential excessive moisture in need of further investigation. 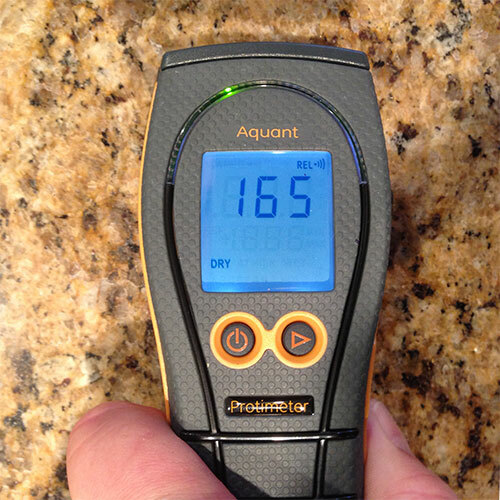 The Aquant non-invasive mode gives readings, in relative terms, of the moisture condition up to 3/4” beneath the surface of materials. This mode of operation is ideal for making rapid surveys of solid walls and floors and to pinpoint areas of concern that may justify a more extensive investigation. The Search mode may also be used as an alternative to the Measure mode when it is impractical or undesirable to push electrode pins into surfaces. 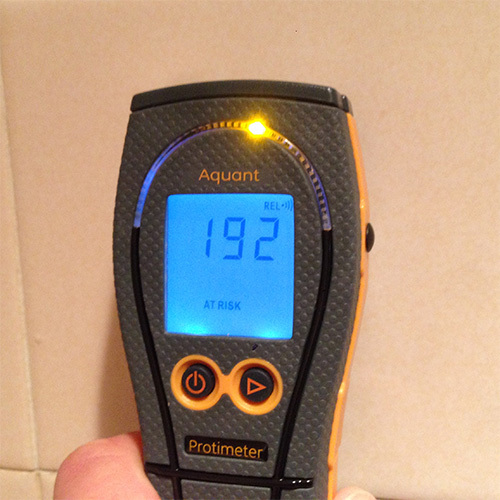 Consider, for example, taking moisture readings behind ceramic tiles in shower cubicles or in walls covered by quality wallpapers where pinholes would not be acceptable. Surface moisture (such as condensation on an otherwise dry wall) has little effect on Search mode readings. 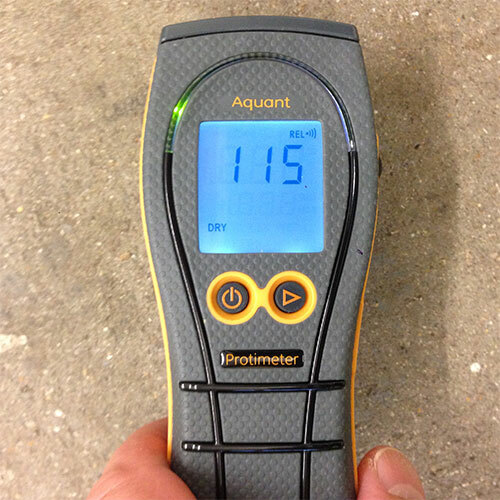 This mode measures sub surface moisture up to 2cm beneath the surface so is also well suited to users who wish to test beneath finished surface such as tiles you to search for sub surface moisture problems behind finished surfaces such as tiles where the use of pin probes is not possible. 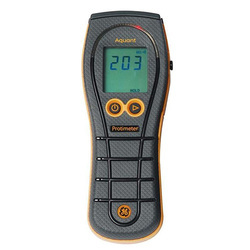 The Protimeter Aquant features a unique traffic light warning system with 60 coloured LED's which gives an instant indication as to the moisture condition of the material being tested. (Green – Dry) (Amber – At Risk) (Red – Wet). 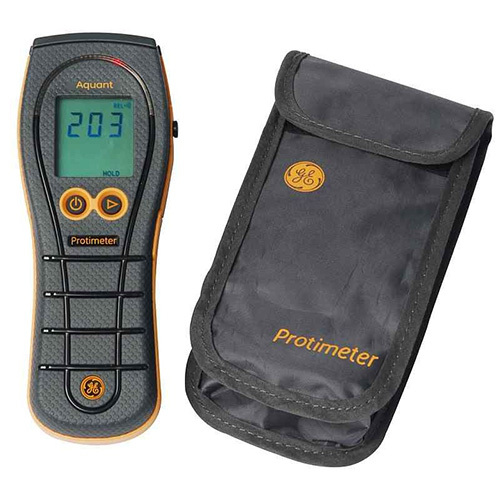 In addition to the coloured LED’s the Protimeter Aquant features an LCD screen, which gives a numerical reading from 70 – 1000. You can use this number to compare the moisture levels over a large area or make a note of it in various locations to monitor the drying out process.